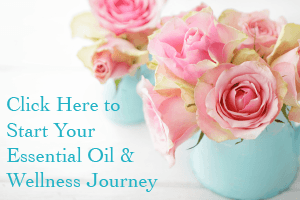 Essential oils are the most powerful part of the plant. They are distilled from shrubs, flowers, trees, roots, bushes, fruit, rinds, resins and herbs. Oils consist of over 100 different natural compounds. In humans, they provide support physically, emotionally and spiritually. An oil in a diffuser can soothe a child’s tough day at school and provide a calming effect when you’ve had a stressful day at work. Oils can be used as an alternative to toxic cleaning chemicals in the home. You can literally start swapping out every single chemical cleaning toxin in your home to live a purer lifestyle, and you can do it without breaking the bank! There are about 300 oils on the earth, but you only need ten to twenty of them to build a good kit. You do not need to be an aromatherapist to use them. In most cases, just rub it topically into the skin. There are three main ways to get oils into your system: the English apply it topically – rub it onto the skin; the French ingest and cook with it; the Germans diffuse and inhale, which can be the most effective method because it doesn’t have to pass through the digestive system. Tests have shown oils reach the heart, liver, and thyroid in three seconds when inhaled; they were found in the bloodstream in 26 seconds when applied topically. Expulsion of essential oils takes three to six hours in a normal, healthy body.